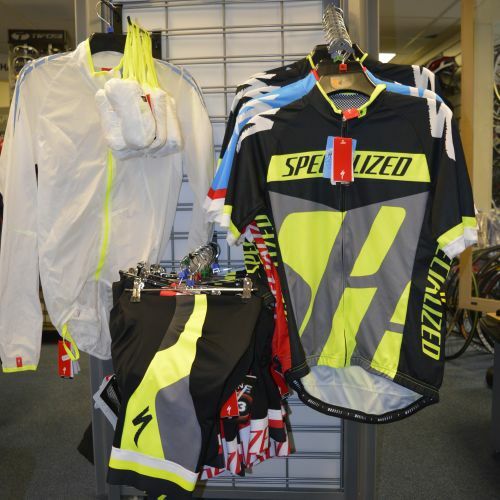 We’ve got two contrasting and striking new ranges of clothing in from Specialized. Which do you prefer? With the blues and reds of one set and the blacks, greys and yellows of the other, there’s an outfit to go with almost any bike! Drop in the shop today to see the full range. This entry was posted in Latest News on May 30, 2014 by pedalsportclub.